We are south Dublin based electricians covering north and south Dublin and Dublin city. 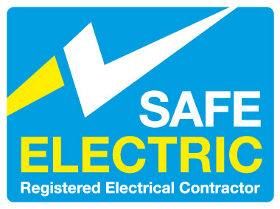 We are safe electric registered and comply fully with latest national rules. Providing a fast efficient and professional service. We specialise in house rewiring and domestic electrical work. Whether it’s a small electrical job such as a broken light, immersion, heater time clock – we can fix it! We can give you a no obligation quote and advice on any electrical work in Dublin. Certificate will be provided on completion of any work undertaken. Shankill, bray, enniskerry, killiney, ballyogan, killternan, stepaside, dun laoghaire, dartry, Milltown, rathgar, ballyboden, churchtown, nutgrove, ballybrack, loughlinstown, dalkey, glenageary, sallynoggin, cherrywood, cabinteeley, foxrock, sandyford, deansgrange, monkstown, blackrock, stillorgan, rathfarnham, clonskeagh, booterstown, mountmerrion, donnybrook, dundrum, ballsbridge, ringsend, sandymount, rathgar, rathmines, ranelagh, portabello, beggarsbush, merrion road, harolds cross, crumlin, drimnagh, tallaght, saggart, lucan, blanchardstown, carpenterstown, strawberry beds, chapolizod, killmanham, inchacore, ballyfermot, sandyford, dolphins barn, rialto, kimmage. Perrystown, Stephens green, merrion square, Abbey street, Grafton street, Capel street, Henry street, south great George’s street, Dawson street, pearse street, baggot street, ringsend, dame street, Thomas street, south circular road.